Superdry men's Ticket Type graphics long sleeve t-shirt. 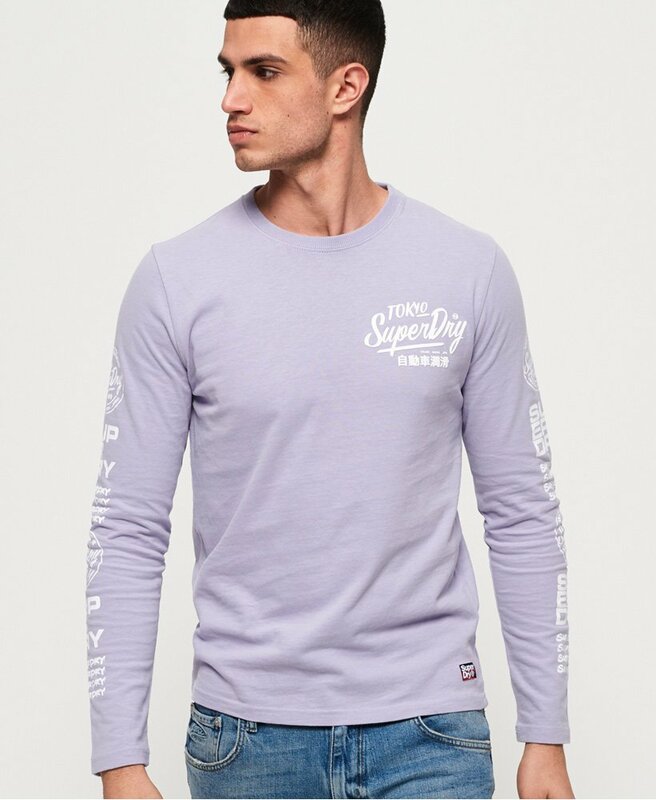 This long sleeve cotton t-shirt features a textured Superdry logo on the chest and Superdry logo graphics down both sleeves. Finished with a Superdry logo badge above the hem.